Between this world and elsewhen lies the Barrow Lands; the place where things that were once magic go when the magic fades. This is a collection of two of Mel. 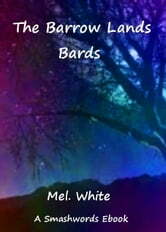 White's Barrow Bard tales -- the most recent ones that were previewed at Soonercon science fiction convention.